The housing bubble: where to now for millennials? The largesse of today’s property prices was perfectly summed up for me when the house next door sold for over $1.05 million dollars in 2016. Only a few short years ago, that news may have had you thinking it must have been a big house; large garage, luxurious amenities and double storey. It must surely have it all. But in fact, this house was just two bedrooms and barely scraped past 250 square metres in size. Sure, it was on a nice sized block of land and was close to shops and public transport, but $1.05 million dollars? How is this kind of market good for the masses? A recent report from global audit firm, KPMG suggests that house prices in Melbourne and Sydney are overvalued by eight and 14 percent respectively. The report, which aims to shed light on the future market, states house prices in both cities will peak within the next three years, after which things will level off. Melbourne’s median house price is expected to plateau temporarily at around $750,000, before experiencing an uptick to around $825,000 by FY2019. Sydney prices will peak at around $980,000, before declining up to 11 percent by FY2021. Unfortunately, when you take inflation into account, this news is not all that reassuring for people like me, who find themselves further away from home ownership than ever before. 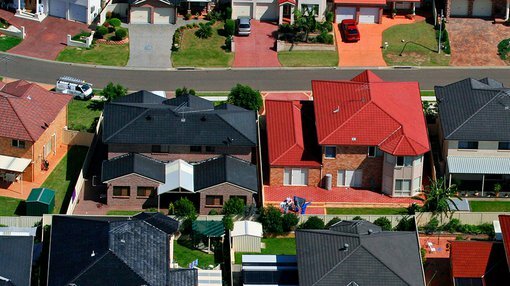 Oddly enough, KPMG’s chief economist Brendan Rynee claims that despite the market being overvalued significantly, there was no indication that Australia was suffering from a housing bubble. Rynee’s statement is clearly his own take, and not everyone agrees. Philip Parker, who is the chief investment officer for Altair Asset Management, has joined a growing chorus of concern. Parker’s words echo opinions held by the wider public when discussing Australia’s skyrocketing house prices. The median prices in both Melbourne and Sydney exceed 10 times the average annual wage today, with dozens of suburbs now cracking the million dollar median price. With Australia’s ageing population, today’s younger generations will find it challenging enough to carry the load moving forward – without the added insecurity of being unable to own the roof over their heads. There’s a common misconception that most ‘millennials’ are spoilt, lazy and entitled – an unfair label based mostly on outdated attitudes rather than facts. As a generation, we are prepared to work hard and pay our dues – we just want the same opportunities to succeed as the generations who came before us. Research from BlackRock’s Global Investor Pulse earlier this year found that ‘millennials are increasingly risk averse, hoarding cash instead of making investments, even more than older generations.’ Why is this the case? It’s impossible to deny the amazing period of economic stability we have experienced in the last three or four decades. Mark Burgess, Chairman of asset management firm Yarra Capital and Hesta, equated his personal success to being ‘built around a lucky trend’. Burgess, who is also the chairman of industry fund HESTA, believes Australia will never witness the sustained level of returns from property again, labelling them a thing of the past. I can’t blame those who have leveraged Australia’s prosperity to their advantage and amassed significant wealth. 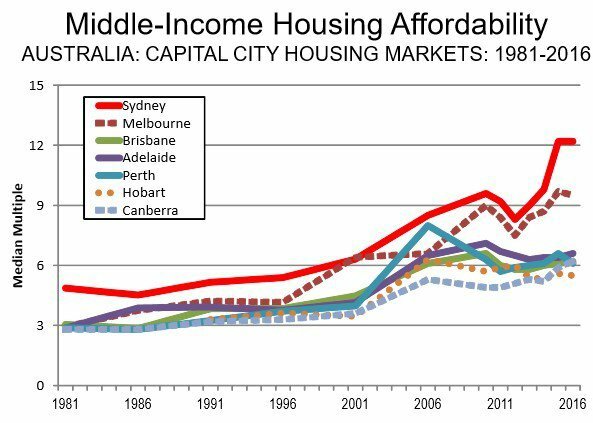 But it is Burgess’ words about Australian housing that caught my eye. “Over the last 30 years what we have done is take a lot of that fear out of the system. “We have this strange thing that you don’t see anywhere else in the world with property investment. Two million people had investment properties in 2013 and I’m sure it’s much higher today, 40,000 had six or more. It’s difficult to see how millennials can break into the market without a sizeable economic event. With interest rates at record lows, it wouldn’t take much to leave many people facing foreclosure – which is something Burgess hinted at. Millennials are anxious. We have gone more than 25 years without a recession, with so many people mortgaged up to their neck in debt – something has to give. What’s going to happen when we run out of ‘luck’?